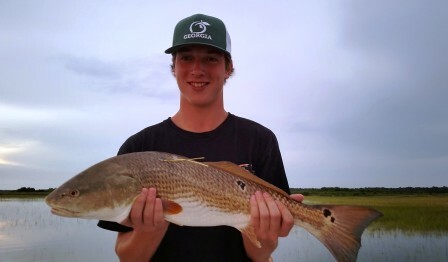 Tailing red fish? Time to pull out the Black Toad Fly. 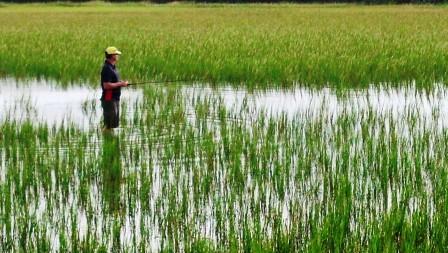 I have all types of crab imitations and spoon flies in my fly box for fishing in the flooded grass. However, I think the only fly you need is the black toad. Tied on a number 2 hook and trimmed properly, this fly accurately imitates the fiddler crabs the fish are feeding on. Although fiddlers are not black, the black color provides a silhouette that is easy for the fish to see. Below is a picture of the fly as I originally tied it. Now I tie it with a red fox tail fur tail and six rubber legs. I don't know if it makes it better, but I know it doesn't hurt. This was the only fly I tied on during the flood tides of August. Check out the recipe on my website. You will need to register before you can see the complete instructions. 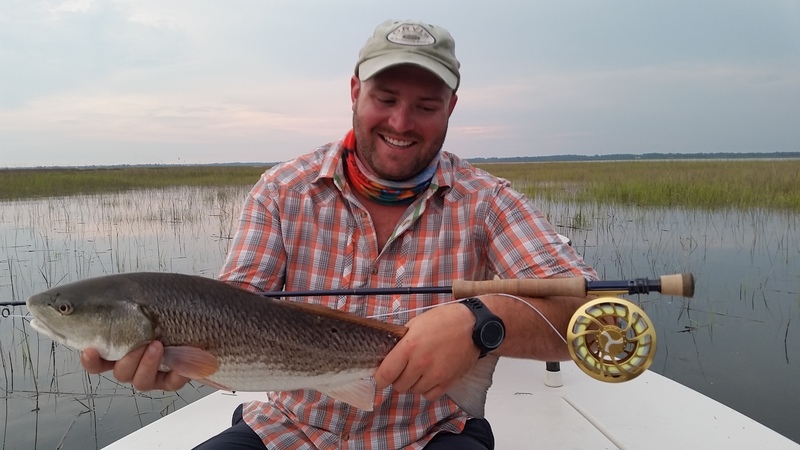 I still have some days available for evening tailing red fish trips. your dates or to get on the back up list for daytime trips in September or October. All summer I have been disappointed in the number of red fish we have seen on the low tides. Flats that normally produce large numbers of fish have been practically devoid of fish. One flat in particular where I normally see several schools of 10-50 fish on a low tide, has given me cause for concern because I am seeing so few fish. While we saw quite a few tails on my favorite flooded grass flat earlier this month, I was disappointed in the number of fish we saw. In years past, it was possible to get from 20--50 shots at fish on this flat. In August, we were lucky to see ten fish. For the last two years, I have been raising concern for the lack of small red fish. While it is great to catch 10-15 lb fish, when that is all you catch, you need to be concerned about the future. These big fish have left for the ocean to breed, and will not return. With no smaller fish in the last few years, it seems like we have fewer fish now. Others have commented on the bad spawns the last few years. We might be seeing the results of the poor spawns right now. fish along with a 5 fish limit. In the fall, it is possible to wipe out a school of these small "school bass". Flood Tide Season is Here! The Red Fish are happily tailing on the flood tides. The full moon in August brought the first, consistent daytime flood tides of the season. During the end of the second week of August, the tides came in and the reds went to the grass to gorge on fiddler crabs. Dan and his son Danny called me, and we got a few evening hours in on the flood tide. At first I was worried as the water was late coming in and the area I wanted to fish wasn't flooded. We worked down the shore in an area of low grass and found three tailing fish. Danny got off a few shots, but was short or lined the fish, and they spooked off. As the water came in, I went back to the original flat I wanted to fish. The water covered it beautifully, but there were no tails showing. I began to sweat bullets that no fish would show up. Then all of a sudden, about eight different fish tails started waving in the grass. Danny took shots at several of them with no luck, so we just moved on to the next tail. As the evening wore down and the sun was setting, he took one final shot, and managed to fool and land a beautiful 27" red fish that was sporting a DNR tag. We added another tag to the fish, and released him to fight another day. 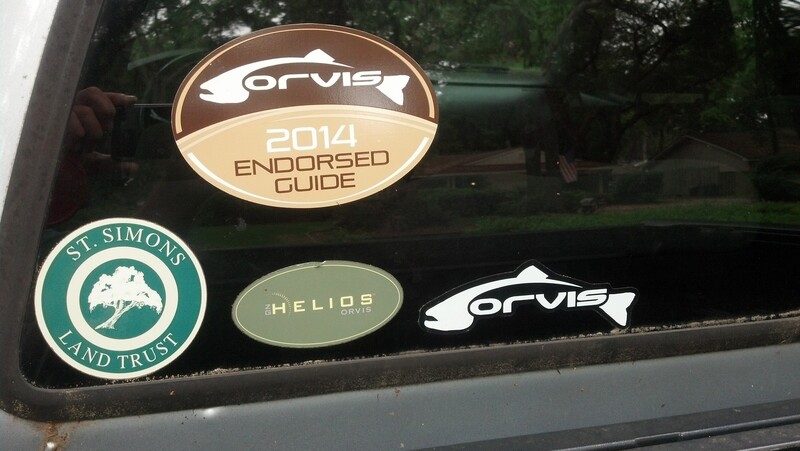 Jake, the fishing manager for the Raleigh Orvis store, came with his family. We found the low tide fishing very tough, and didn't connect during the day. The evening he fished for tailers, he managed to blow a few shots, but finally connected at a go-to- spot I fish when conditions are tough and the water barely comes in. Chris and Megan visited the Golden Isles from Colorado. 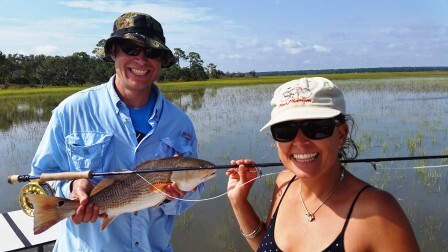 Chris is an avid fly fisherman, while Megan is a relative beginner. We fished a very short evening tide,and had several shots, but didn't connect. Then later in the week, when we had morning tides for tailers, we traveled South to my favorite flat. I was disappointed with the number of fish that were tailing, but Chris managed to connect with this 22 7/8" fish which we promptly CPR'd (Caught, Photographed and Released). Tom and his son-in-law, Derrick decided to try their hand at tailing fish. Derrick said he had fly fished for red fish, but wasn't very good. I love people that say they are not very good, but then know exactly what to do. Derrick blew a few shots, which everyone does, but ended up putting the fly on this fish's nose and was rewarded by a fun fight. Again, CPR'd. I have a few open dates for evening tides in September and October. The best daytime dates for these two months are fully booked. If you want to book an evening trip, or to be put on a list for back up during the day, please contact me through my website, Contact Page, email, or cell phone: 706.540.1276. While we can't count on them, when we find them, you are in for a long fight on an 11 wt. Want to catch 30 lbs of one of the toughest fish on the planet? Interested in a 30 minute fight on a fly rod? 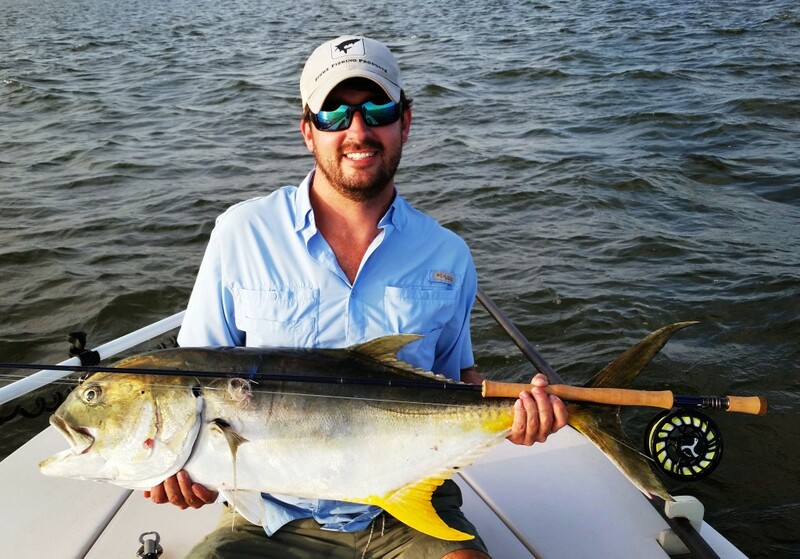 On most charters at this time of year, we always take the time to look for the Jack Crevalle that invade our sound. They were here in July, then the dirty water from the super moon tides ran them out. They were back last week, busting pogies. I can't promise you we will find them, but we will always try. If we do, this could be you. "You never know unless you go!" 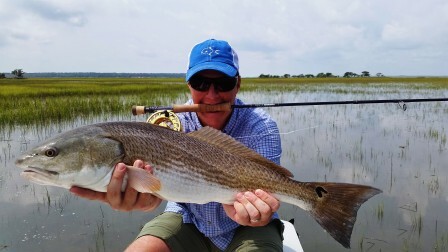 St. Simons Outfitters, the Orvis Store in St. Simons, located at 3405 Frederica Rd., just North of the Sea Island Causeway, is fully stocked with fly fishing gear for the season. The shop has some good values on 8 wt outfits, exactly what you need for red fish. Ellen has new colors of the Dupree Spoon Fly, which is popular for fishing for reds. She has recently replenished her stock of poppers for bass fishermen. Give Ellen a call at 912-638-5454.